There are a select few prints that I always wear. Leopard print, polka dots, and stripes. Those are my go to prints. 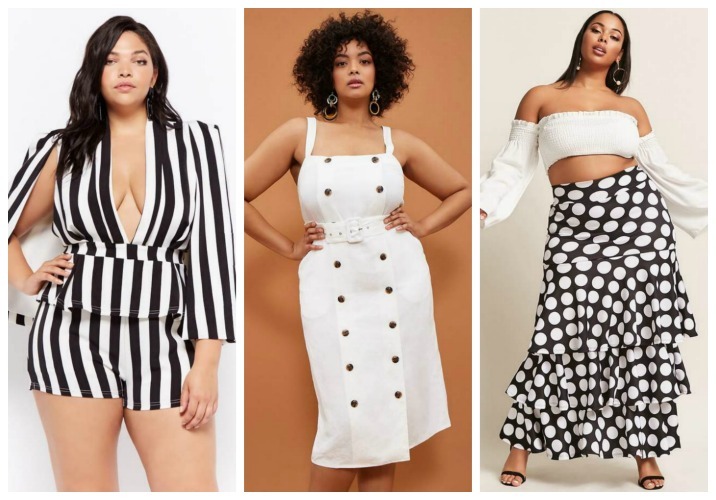 It’s hard for me to resist an item that has anyone of those prints. This year, I have been obsessed with striped trousers. I own about 4 pairs now. Striped trousers are so modern and stylish. Most importantly, I love how you can dress them up or down. Recently, I found a pair of striped pants from one of my current favorite stores. You guys know that I’ve been quite smitten with New York & Company lately. Ever since they announced that they offered extended sizes. I’ve worn quite a few pieces from them (seen HERE and HERE). 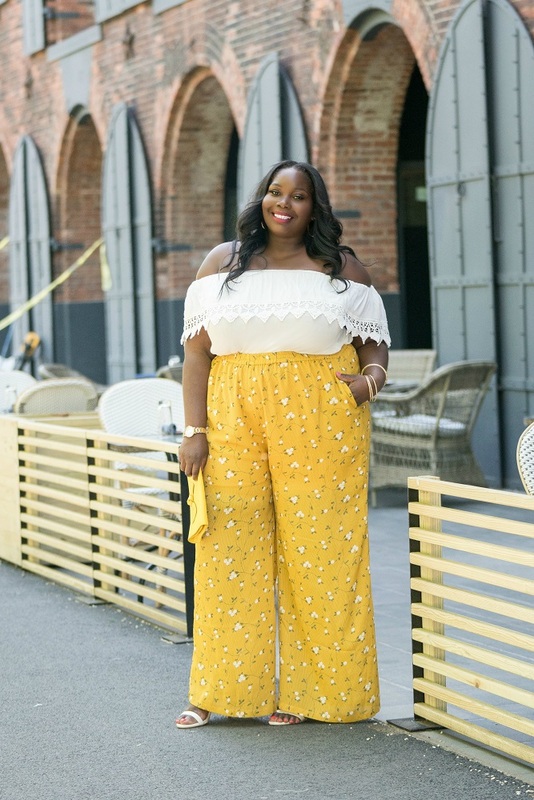 While browsing their site a few weeks ago, I found these striped pants. I knew I needed them and snatched them up with the quickness. I got the striped pants in a XXL and the fit was just right. They come with an elastic waistband and are very light weight. 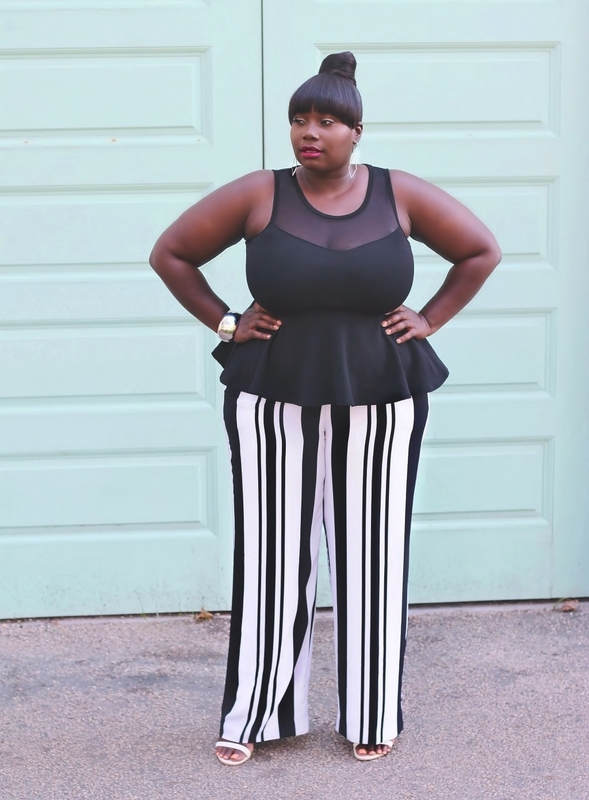 I decided to rock the striped pants with a Forever 21 Plus mesh peplum top and accessorized with silver accessories, white sandals, and a bold red lip. You would think that I would be done with striped pants since I have so many. I’m not. I still have a few more styles on my list. I need a pair with darker colors to wear for fall. I read this article and found it very interesting, thought it might be something for you. 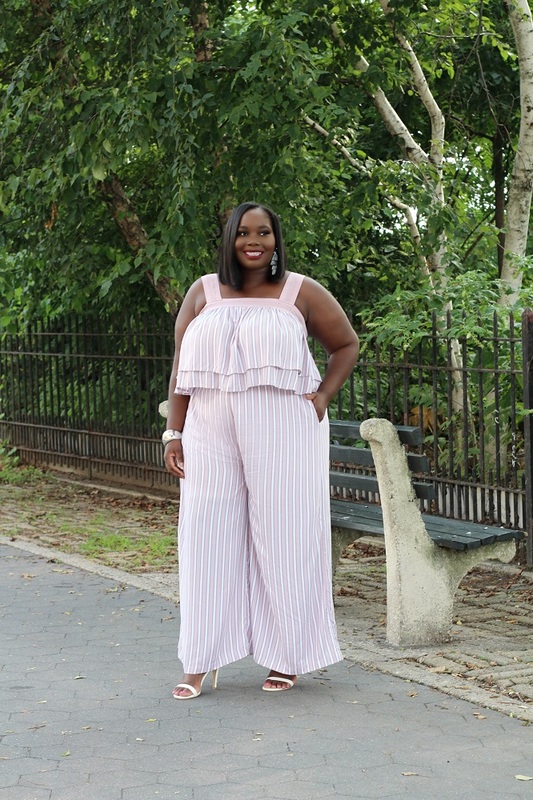 The article is called My Obsession With Striped Pants and is located at https://stylishcurves.com/new-york-company-striped-pants/. this look is Fabolous!…super Fabolous!…MEGA FABOLOUS on You…cheers!